Welcome to Almond Place! This month, you can find me writing as part of the Write 31 Days series on trying to make our holidays more peaceful. You can find the rest of the posts in my October series HERE. I'm all about action items this week because I've got a relatively laid back week. So far we've started looking for gifts, booking travel, making sure our clothes are ready and our kitchen is well stocked. Now let's focus on preparing for guests. Are you blessed to be expecting some company this holiday season? Are you dreading it maybe just a little bit?! Our holidays as a whole are relatively "guest free". Our parents and extended families live thousands of miles away from us and we are not traveling this year. Our holidays will be quiet this year and as much fun as it can be to visit others, we love simply staying home with our little family unit. That being said, we will be having my Mom visit us in about 2 weeks and this is a good reminder to get stuff ready. We also will be entertaining at our home over the holidays and while we won't have people sleeping over, I want our guests to feel welcome and have what they need. Now is a great time to double check those spare linens...bedding, sheets, towels. Do you have enough? Do you need some new stuff? It's time to run those "fancy" sets through the wash to spruce them up! I love to buy new pillows this time of year! I also read somewhere that you should keep a plunger within easy reach of your toilet...make it easy for guests to find, just in case. There's nothing more embarrassing as a guest than needing to ask your host one! It's a great time to stock up on some essentials...toilet paper, kleenex, paper towels, hand soap, some candles, room spray and some welcoming magazines. I have always thought this sign from I Rock So What for your guest room would be cute! 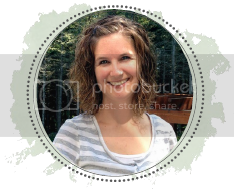 She has a free printable on her blog. Find out what your guests like to eat and stock up on some extras for them so they don't have to always be asking you for something to snack on. This is particularly important for guests with little kids. Make sure those littles are taken care of, too! Find out what they need...sleeping arrangements? Special gear: car seats? Winter clothing? Specific food? Do you have any special tips for making your holiday guests feel at home?